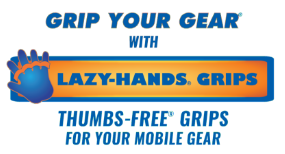 Interested in ordering hand grips for phones or hand holders for tablets for a fundraising event? Let us customize them for you! Use this form to provide your custom artwork, additional instructions, and any other information regarding your custom-printed LAZY-HANDS order. Which style of grips do you want? How many LAZY-HANDS grips do you need?